If you've been wondering when Edinburgh's Jazz and Blues Festival will return, well, you needn't: it's back in July, with a programme of international stars, fine Scottish musicians, and a slew of artists from the cradle of the music, New Orleans. The headliners include two veteran guitarists and their bands: John Scofield and his funky blues stylings, and the always-urbane Mike Stern. Piano trio The Bad Plus are back for the first time since 2014. 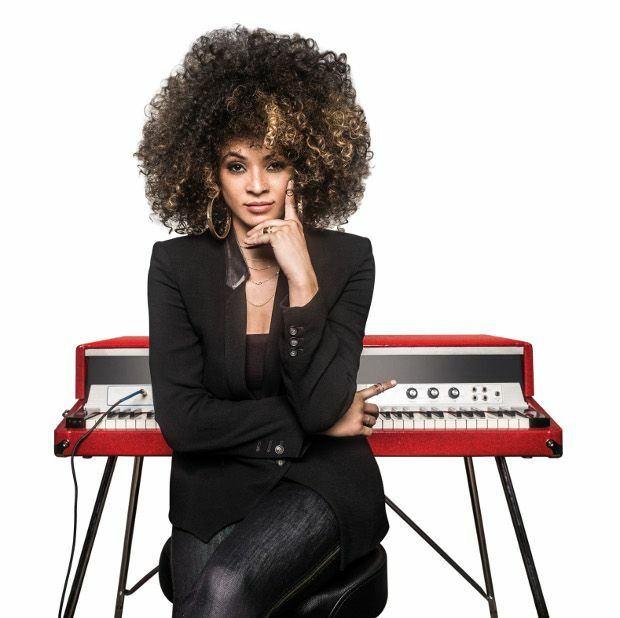 Nashville singer-keyboardist Kandace Springs has--or rather, had--a famous fan in the late, great Prince, who invited her to play for him at Paisley Park, and gave her some well-taken career advice. Singer-pianist Sarah McKenzie has been compared to Diana Krall, largely on account of hair colour, but she sings in her own distinctive Australian accent and has a nice line in original compositions and keyboard wit; in the bilingual title track of her new album Paris in the Rain, she quotes 'If I Only Had a Brain' during her piano solo. The Scottish artists in the festival are in tribute mode, with Seonaid Aitken saluting Ella Fitzgerald, Tommy Smith doing the same for John Coltrane and Konrad Wiszniewski and Euan Stevenson giving it up for Stan Getz. For Ryan Quigley it's Dizzy Gillespie, and for Calum Gourlay it's Thelonious Monk. This is the centenary year of jazz: the first jazz recording is generally agreed to be 'Livery Stable Blues' by the Original Dixieland Jass [sic] Band, and if you're wondering why you've never heard of it, it's because, well, it's awful. The ODJB deserve the thanks of the world for making the first commercially available jazz recording, but they also deserve a polite: 'Now kindly step aside and let someone have a go who isn't taking the piss.' Fortunately, other New Orleans musicians would do just that, and they're still doing it today. The New Orleans Swamp Donkeys, back after their EFBF debut in 2016, are the kind of fiercely energetic band that gives 'revivalism' a good name, with an inspired take on the Game of Thrones theme, and a stirring version of 'A Fine Romance' featuring Iraqi-American actress Alia Shawkat (Arrested Development). There's also the stirring trombonist and singer David L Harris (who has a lovely version of Kermit the Frog's ballad 'Bein' Green'), and the glorious Hot 8 Brass Band. London drummer Yussef Dayes presents his and Kamaal Williams's superb hip-hop/grime-inflected fusion project Black Focus. The duo were prevented from performing at SXSW in March, because Dayes's visa was revoked at the last minute by US authorities, presumably for no better reason than that they don't want guys with names like 'Yussef' entering the country: your loss, America. There's much more in the 2017 programme; we haven't even touched on the blues side, with performances from Hamilton Loomis, Mr Sipp and Lisa Mills, among others. Then there's Soweto Kinch; the Blind Boys of Alabama; Ibibio Sound Machine; gospel, Cajun, Western swing and much else. For a week in July, lovers of jazz and blues in Edinburgh will truly be sitting on top of the world. The Edinburgh Jazz & Blues Festival takes place in various venues in Edinburgh from Fri 14–Sun 23 Jul 2017. Tickets are on sale now.